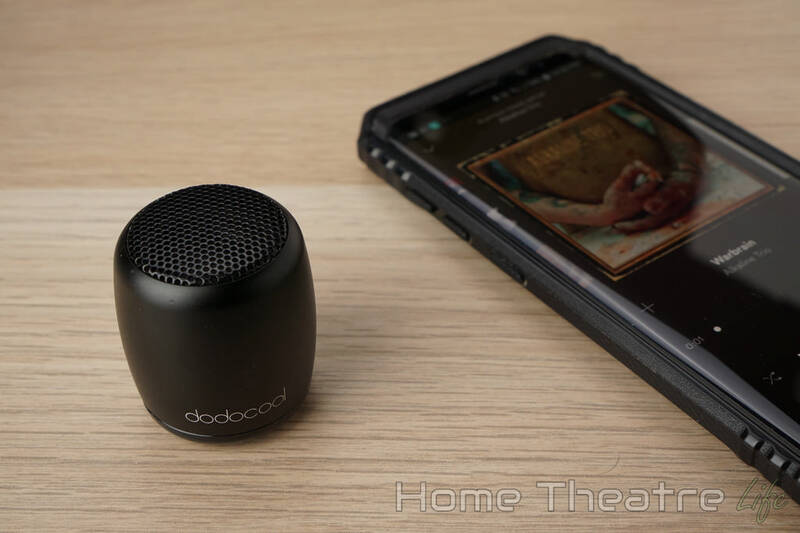 Bluetooth speakers are a dime a dozen but when the tiny and incredibly cheap Dodocool DA84 came across my desk, I was intrigued. Coming in at only 37x42mm, could something so small output audio that’s worth listening to? In this Dodocool DA84 review, we’ll take a look at the hardware, features and sound quality to answer the most important question of all – is the Dodocool DA84 worth it? 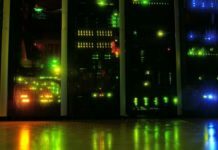 What is the Dodocool DA84? The Dodocool DA84 is a tiny Bluetooth speaker that’s small enough to chuck in your pocket and take with you. 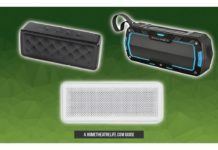 Crammed into the its durable aluminum frame is a single 3W speaker that’s able to put out some reasonable volume despite its small size. Despite its $12 price tag, the Dodocool DA84 boasts some pretty impressive specs. Inside its durable aluminium alloy shell, the unit packs in a compact 3W driver that can output impressive volume when maxed out. Battery life is predictably limited to 2-4 hours of playback due to the unit’s size. However, the rechargeable 300mAh battery can easily be recharged via the near-ubiquitous micro USB so finding a compatible charger shouldn’t be a problem. Dococool have also managed to cram in a small microphone for hands-free calling and the power button underneath doubles as a selfie remote for your smartphone’s camera so there’s no chance of an stray finger ruining a great shot. The Dococool DA84 has an elegant barrel-like design, with the other shell made of an aluminium alloy that can handle a few knocks. The top of the unit is basically all speaker, with a black grill protecting the 3W driver underneath. Flipping the unit over exposes the large power button (that doubles as a selfie shutter button for your phone’s camera), the small microphone for hands-free calling and a power LED. There’s also a micro USB port for charging and a strap tie point to attach the included wrist strap. 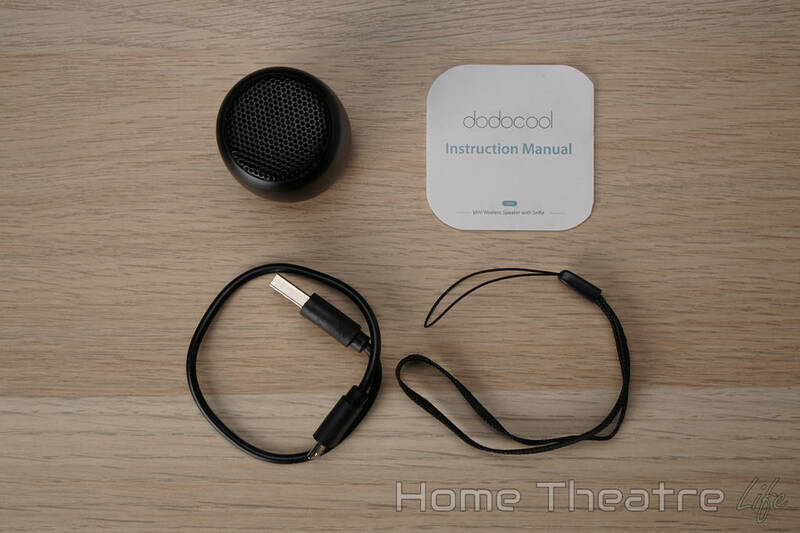 Using the Dodocool DA84 Bluetooth speaker is incredibly simple. After turning on the speaker by holding down the power button on the bottom, it’ll automatically enter pairing mode. 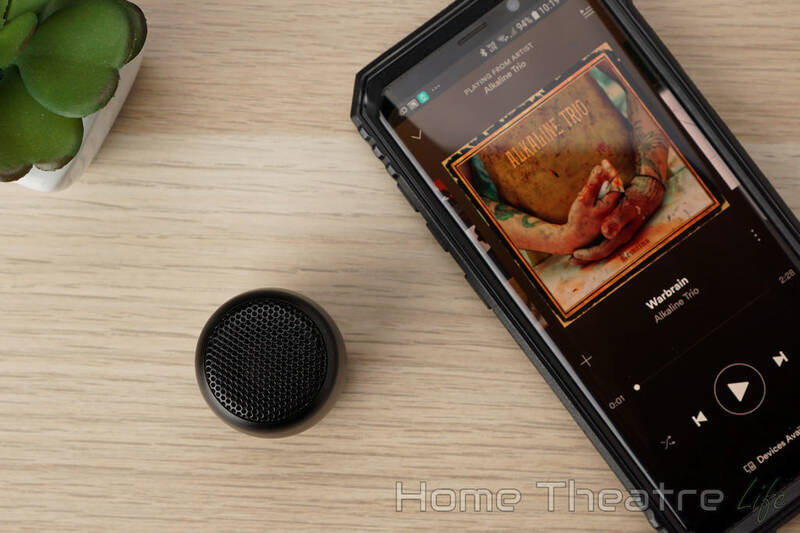 Just connect to the “dodocool-DA84” device in your smartphone’s Bluetooth menu and hit play on Spotify or your preferred music player to start listening to music. There’s no on-board controls so you’ll need to control everything from your smartphone. Given the size of this speaker, I can’t really be too critical here – the unit’s small size more than makes up for this (very minor) inconvenience. The shutter button worked well with my Samsung S8’s default camera app, allowing me to easily take photos without having to touch my phone. This was surprisingly useful when I was out and about. 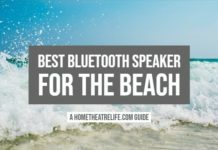 A Bluetooth speaker is only as good as its sound quality and the Dodocool DA84 did surprisingly well. Music was nice and crisp, with a decent level of bass for a pleasant listening experience. Those liking bass-heavy sound signatures will be disappointed but I personally this a more balanced approach. 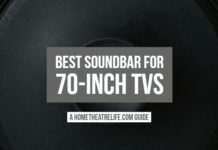 Volume is also impressively loud, with enough volume for a small room without any distortion at maximum volume. I found it was the perfect solution for putting in the middle of a table during a party for localised audio. However, there was an annoying hiss at lower volume levels which was a bit annoying as audio quality at low volumes took a hit. 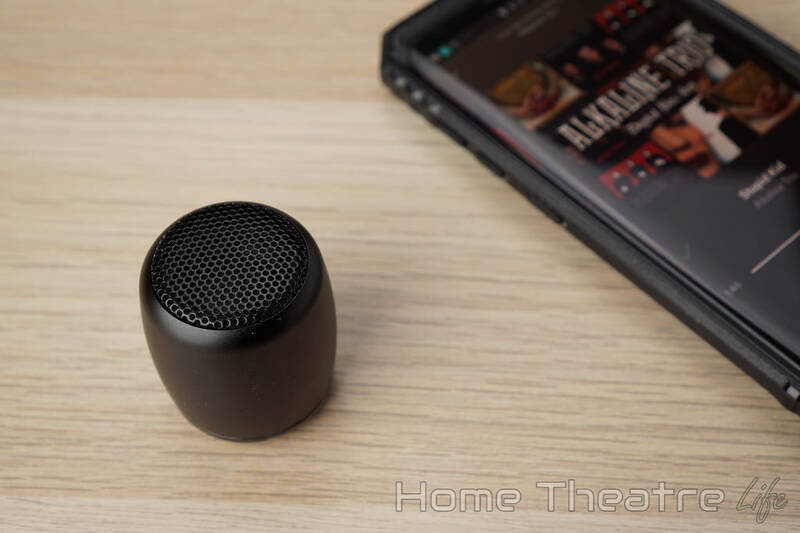 Should You Buy The Dodocool DA84 Mini Bluetooth Speaker? There’s a lot to like about the Dodocool DA84 mini Bluetooth speaker. 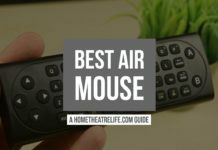 Whilst it’s not perfect, you’re certainly getting a lot for under $15: good audio quality, solid construction, hands-free support and selfie remote functionality. If you’re wanting a cheap Bluetooth speaker to chuck in your bag and take with you – the Dodocool DA84 is the perfect companion. The Dodocool DA84 Mini Bluetooth Speaker is available from Amazon. The Dodocool DA84 offers incredible value for its sub-$15 price tag. With a selfie remote, hands-free microphone and good audio quality in such a small package makes it a must-have gadget in your arsenal.